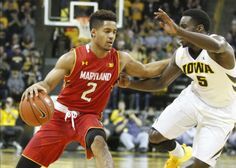 Melo Trimble leads a talented Maryland roster. With just under one week till the 2015-2016 college basketball season gets underway we take a minute (or several) to take a look at the upcoming season and what we believe will be the Top 25 (plus a few sleepers). It’s really easy to look at rosters and assume success based on previous seasons or high school rankings, but as seen several times before that doesn’t always work out. But that’s what makes prognosticating and taking guesses so fun. So here we go. Kentucky. I hate to say it, but John Calipari has done it again. And while his team may not possess the kind of star power that is familiar like seasons past, the stars that are there are very good. It will all start with Jamal Murray, the Canadian who re-classified to 2015 to join a top-ranked big man Skal Labissiere (who was just deemed eligible). Add in combo guard Isaiah Briscoe and returned point guard Tyler Ulis and the backcourt is going to be very good. That’s not even counting highly ranked incoming frosh Charles Matthews, juco guard Mychal Mulder (who also has pro potential), and Dominique Hawkins who is a more than adequate defensive guard. The front court will look to Marcus Lee to finally step in at the 4 to help out Labissiere while Alex Poythress returns to add another long defender on the wing. Isaac Humphries is a 7-foot freshmen with tons of potential to add depth and Derek Willis has the length and athleticism if he ever gets the chance. North Carolina. With all those guys that were at one point ranked as Top 20 high school players at one point, you’d think they would have put it together a little sooner. Finally this roster, with three quality lead guards, has the right mix of talent to thrive in Roy Williams’ system. Marcus Paige has been the scorer, the passer, and the vocal leader of a program that has been mediocre by its standards in the past years. With wings Justin Jackson and Theo Pinson as well as guards Joel Berry and Nate Britt, there will be plenty of scoring and ball-handling to help out. Brice Johnson and Kennedy Meeks return to lead the bigs of UNC with help from Joel James and Isaiah Hicks. Maryland. It would be all too easy to put the Terps at the top as a Maryland fan. But there are still just enough questions as there are certainties to keep from putting them over the top. One thing is for sure, Melo Trimble is a leader and the best player on a team with several pro quality guys. Trimble has the right mix of intangibles to lead a team and scoring ability but now must improve on his facilitating. Look for him to find help scoring from guys like Jake Layman (provided he plays with confidence) and Jared Nickens (who is a very talented guard/wing). Diamond Stone is perhaps the biggest recruit in Maryland’s history and could potentially alter their program for years to come. If his interior defense catches up to his plethora of post moves then he could be gone in a season. Stone will have plenty of help of front (and may not even start) from Robert Carter Jr, formerly of Georgia Tech. Carter is a great scorer-rebounder with a cerebral game along the lines of Georges Niang (not saying he is as good). Damonte Dodd is a defensive project with great physical skills and a huge wingspan. Dion Wiley is a similar defensive stopper (except on the wing with the ability to hit the 3. And Michal Cekovsky and Ivan Bender are European bigs with varying degrees of potential though Ceko is well ahead in development. Perhaps most importantly, Jaylen Brantley is on board as backup point guard for Trimble. Oklahoma. Definitely lacking in star power, even from teams that may never make it into the upper echelon (see UNLV), there’s more than a few very good players on this roster. Buddy Hield leads the way as the conference player of the year last year in the Big 12. He came back for another year for a reason. And he will have help. Isaiah Cousins is a terrific two-way player with the potential to do more given a bigger role. Jordan Woodard is the de facto point guard who will really need to provide top-notch ball-handling to keep the team in games. While the front court will be bolstered by Ryan Spangler who can both score and rebound at a very high rate when given the chance. He will need lots of help preferably from guys like Khadeem Latin (who was once a very highly rated prep player). But much like other college programs, the system supercedes the talent and Lon Kruger has built great teams everywhere he’s been. Virginia. Tony Bennett might be the best coach in college basketball. He knows defense and in the college game that trumps athleticism. Besides that, he’s got Malcolm Brogdon back. And he was better than Justin Anderson when healthy. Because of their system, the loss of Anderson can be neutralized. Returners Marial Shayok, Isaiah Wilkins, Devon Hall, and Evan Nolte will help replace the lost production. Mike Tobey will need to provide more at a more consistent rate to keep the bigs afloat, though Anthony Gill is a very crafty forward who can score in a variety of ways as well as defense (of course). Gritty lead guard London Perrantes is back to move the ball around as well as take care of it. 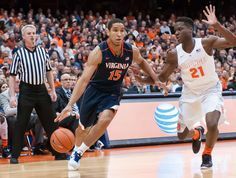 The flash of Anderson may be gone, but the defensive mindset of the Hoos should be more than enough to challenge the Tar Heels in a loaded ACC. Virginia needs Malcolm Brogdon to lead. Duke. Another stellar group of recruits comes in to Durham this year. While the potential may be there for the same kind of impact, the current skill level isn’t comparable. Jahlil Okafor was a once-in-every decade kind of throwback player, Chase Jeter and Antonio Vrankovic have the ability but need the seasoning and one can assume that won’t happen any time soon. Duke will need immediate contributions from guys like Brandon Ingram and Luke Kennard as well as the same effort from the National Championship game that Grayson Allen put on display. The athleticism and confidence has to come out this season because he has the chance to be that JJ Redick-type player that you love to hate. The front court will need the veteran leadership of Amile Jefferson who is a tough rebounder and Marshall Plumlee who plays with the intensity that you can’t teach. Wing, Matt Jones. and big, Semi Ojeleye, will anchor the bench/rotation. But the Blue Devils will lean heavily on the play of Derryck Thornton who re-classified to go to Duke. His maturation will be key to the success of this team. While there is talent here, there may well be a fate on the other end of the spectrum. Wait and see. Wichita State. When it comes down to it the Shockers probably won’t be winning in March Madness, but they may be in the Top 10 the entire season. The play of guard Ron Baker and Fred Van Vleet are reason to know who they, but that is simply the entire team. There is more talent here and the play of the big guys up front will go a long way in determining just how far this team can go. Transfer Anton Grady needs to be productive at the forward spot as do guys like Rashard Kelly, Shaquille Morris and Rauno Nurger. Guard Evan Wessell and trasnfer Connor Frankamp bolster the solid guard play that we will likely see all season. Kansas. Why do I have them so low? Do I really think their consecutive streak of conference championships is at risk? Well guys, there’s a lot of things to like about this group. But it just doesn’t seem to have the same kind of buzz that the even the last few years have had surrounding them. There’s a fair amount of guys with potential that are late-bloomers like Frank Mason and Devonte Graham (conveniently their point guards). There’s a few guys that haven’t quite lived up to potential (fair or not) like Wayne Selden, Sviatoslav Mykhailiuk, and Brannen Greene. There’s transfers without a clear place to fit like Dwight Coleby and Hunter Mickelson. And then there’s serviceable big men that produce when asked to but won’t exactly take over game in guys like Perry Ellis, Jamari Traylor, and Landen Lucas. Throw in two top level recruits in Carlton Bragg and Cheick Diallo who play the same position (and Diallo might never be eligible) and you have a very curious roster. So there’s talent and ability. How will it shake out? Last year’s team didn’t come close to reaching their potential and they still won the conference. Not saying they won’t do it again. Just don’t think they are that great of a team. And yet I have them ranked this high. California. These guys won’t win it all. But they might make it further than you think. It’s been proven that deeper rosters don’t exactly guarantee anything, but having the best starting 5 on the West Coast has got to count for something. Tyrone Wallace is a long and gifted point guard who scores, rebounds and distributes at a rate better than anyone in the country. This year he won’t be asked to do as much. Jaylen Brown will slash from the wing all the way to the NBA. Jordan Mathews will play solid defense and keep teams honest for the outside. Jabari Bird will provide perimeter defense and be a tough match-up because of his athleticism. And Ivan Rabb will a monster on the blocks. But where will the help come from? Gonzaga. Has it taken people 10+ years to figure out that these guys aren’t going away? Apparently so. Now after losing some guard depth from last year it looks as though the Zags have a loaded lineup up front. Kyle Wiltjer has not so quietly become the player most Kentucky fans envisioned several years ago when he was raining threes at the McDonald’s All-American game. This stretch-four with unlimited range and above-average passing skills fits perfectly into Mark Few’s system and allows the offense to flow freely without dominating the ball. Big man Przemek Karnowski is the traditional 5. He posts up with his back to the basket and plays rugged defense on the low blocks. Being 7-feet tall doesn’t hurt. And having a third guy that could start for most teams in the country likely coming off the bench is a great luxury in Domantis Sabonis. This means getting as much out of guards Kyle Dranginis, Silas Melson and Eric McClellan will be most important to the success as teams with likely sink their defense in and make them win the game. Michigan State. Last year’s team had a lot of heart, but not that much talent. Tom Izzo likely had his best season as a coach (including his championship season) because of what he got out of that roster. Now he’s got a deeper team and one with the potential to stick around the entire year rather than showing up late to the party. Eron Harris will probably take some time to develop into a leader on the court and he certainly hasn’t been one off of it, but the talent and ability to be that guy is there. Denzel Valentine already is in that position, thankfully for the Spartans, and seemingly has been at State forever. He plays bigger than his listed size of 6’5 (which is generous) and he continues to develop as an all-around player, much like his predecessor Draymond Green. While the Spartans lack star power beyond these two guys, they have a glut of excellent role players that will fill the gaps as the younger guys find their legs. Much like last year, they won’t dominate early, but they will be really good in the end. Villanova. A few short years after seemingly being on the hot seat, Jay Wright has the Wildcats back and consistently in the talk for top programs in the country. And it’s done with guard-play. Villanova continues to trot out guys that can handle the rock and make good decisions (whether it’s against the best competition or not). Senior Ryan Arcidiacono will have a running mate this year in freshmen Jalen Brunson. It’s quite possible that the latter will be in charge come tournament time, but the two will certainly co-exist in a backcourt that will feature other talented players. Josh Hart and Phil Booth are top reserves that might be rotated into the lineup at some point (more likely Hart) based on play-making abilities. And forward Kris Jenkins will be looked at for bigger play in many ways. The 6’6 power forward plays much bigger this his height due to a frame that’s been large since his high school days. But with only one rotation guy above 6’8, it’s important for Jenkins to come through. The taller guy than 6’8? It’s 6’11 Daniel Ochefu, who has rounded into a fine player in his final season. He has the ability to rebound and score (evidenced by a 20-20 game last year) and his defense has always been a strong point. Arizona. After losing a bunch of talent from last year, Arizona comes into this season with tons of confidence and tons of new faces. One face that has been around for a year and waiting is Ryan Anderson. The 6’9 senior forward is a cerebral player with decent athleticism and already has experience being “the guy” at Boston College. Top recruits include Allonzo Trier and Justin Simon, who should both push for PT from the jump. Still, while Trier may very well start early, stalwarts Parker Jackson-Cartwright and Gabe York have been in the system and should be good options to manage the games and make big plays. The play of former Top-10 prep player Kaleb Tarczewski will be very important to the success of this squad as Dusan Ristic will act as a very capable backup. But the Wildcats will need guidance from the senior leader and team sparkplug. Indiana. There are plenty of reasons to like this year’s team. They are a year older without losing much from a season ago. Tom Crean has been able to recruit at a decent level and bring in a freshmen likely to make impact. While we don’t see Thomas Bryant taking the world by storm quite like other pundits, it’s not crazy to think that he will add the missing piece to last year’s puzzle. The Hoosiers lacked an inside presence. Though they may continue to utilize Troy Williams at the 4, they will need a big man with the ability to rebound and block shots while striking some fear into the hearts of those daring to drive to the hole. James Blackmon is a high-volume guy who can score in bunches and was very impressive in his debut season in the Big Ten. 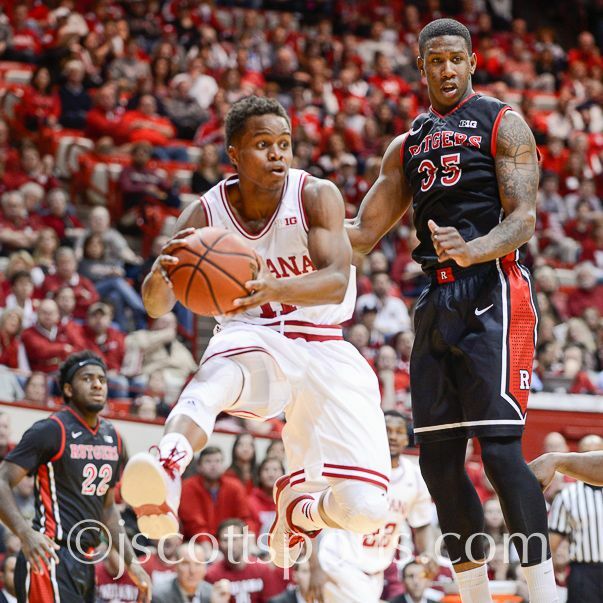 Having a guy like Yogi Ferrell to distribute the ball and run plays will make life much easier. He’s been around for 4 years and will need to do a little bit of everything to keep this team honest. Shooting from the perimeter at the clip the Hoosiers did last season will be difficult to sustain and thus the frantic pace may need someone that can keep it in check. Robert Johnson will be the next most important guy in terms of volume, but role players like Collin Hartman, Max Bielfeldt, and Nick Zeisloft may be just as ready to contribute. If depth in size isn’t a concern and behavioral issues are quelled this could be a season in which Indiana competes with Maryland and Michigan State for conference prominence. Gotta protect the ball and make smart decision. That begins, for Indiana, with Yogi Ferrell. Notre Dame. We keep sleeping on the Fighting Irish and Mike Brey just keeps coming with competitive teams. College basketball has never been about having teams winning with 10-man rotations. And while have at least 8 good options is helpful, the Irish have consistently been good with 1 or 2 extra guys to coming off the bench. A couple years ago Notre Dame had Eric Atkins, Jerian Grant, and Demetrius Jackson and one of them was ruled ineligible and something special was lost before it really got going. Then Atkins graduated and Grant and Jackson got even better. Pat Connaughton went from a role player to an NBA talent with the Portland Trail Blazers(even when most thought he was more of an MLB prospect at the beginning of last year) and suddenly they were a top team in the country. Zach Auguste came to life most notably against the vaunted Kentucky front line and now they have two guys with pro dreams leading a team with other capable entities. A sneaky-quality recruiting class will have some time to develop and potentially contribute later on (or when injuries come because they always do with this program). But other contributions will come from Steve Vasturia, V.J. Beacham, and Bonzie Colson. Don’t sleep on the luck of the Irish in a deep ACC. Butler. One of the other consistently relevant mid-majors, assuming it’s even a fitting term anymore, has been the Bulldogs of Butler. And with 4 of the top 6 scorers from last year returning, this season is sure to be a success once new point guard Tyler Lewis is integrated into the lineup and running the show. As a lead guard at NC State, Lewis was buried on a depth chart with a couple guards ahead of him that filled up the stat sheets and also played lots of minutes. That may not be an issue with this team, though the Bulldogs do have talent to hand the ball off to. The tandem of seniors, Roosevelt Jones and Kellen Dunham both produce at a very high rate but do so in different ways. Junior Andrew Chrabacz plays bigger than his listed height of 6’7 and thin frame, but Butler will need that while they figure out who else will help up front. Another good season in the Big East looks to be very plausible for this squad. Vanderbilt. As the rankings go deeper, the teams with potential begin to surface and the certainty of anything gets a bit clouded. But when you look at the roster longtime Vanderbilt coach, Kevin Stallings, has put together you can understand why many think the Commodores will be one of the top teams (if not the best, and it’s possible) in the SEC this upcoming season. Damian Jones is lauded as the potential NBA selection next year that has all the physical tools even though he wasn’t a featured player last year. Expect that to change, but how much it changes may vastly effect the continued development of this team as a whole. The crafty recruiting of the old-head in the SEC has given Vandy a nice mix of shooters and size and shooters with size. Luke Kornet (7’1) reminds me a lot of the bigs in John Beilein’s system at West Virginia that would terrorize teams from deep and then play adequate defense down low. Riley LaChance has a nice stroke, along with Matthew Fisher-Davis and Wade Baldwin. Though, admittedly, all must improve their effective shooting rate as all were under 44% from the field. Another solid recruiting class will get some time to improve while the current group takes center stage this year. If potential is reached we could see the Commodores higher, but it will be very surprising if they fall all the way out of tourney discussion by season’s end. LSU. Two NBA forwards left last year in Jordan Mickey and Jarell Martin. A roster that was sure to be one of the best and most curious, in terms of lineups, in the country was left to wonder what could have been. Two okay guards, Keith Horsby and Tim Quarterman, return to anchor a program that underachieved with the aforementioned studs headlining. And yet many think LSU could finish the year with a respectably deep showing in March Madness, but how? Ben Simmons. The 6’9 high school player of the year is a point forward with handles, great feet, and leadership qualities that have will go a long way in the success of this ball club. And that’s not it, Antonio Blakeney is also along for the ride and could have a similar jump to the pros if all goes well. The shooting guard will fill it up all over the court and likely provide a good bit of defense as a starter in the back court. Toss in former Arizona forward Craig Victor (who couldn’t crack a rotation without tons of depth in bigs) to the fold and the potential is there. Another former Top 100 prospect Elbert Robinson is a big with ability that needs to show more in his second year. But there is size on this roster. If anyone can relieve Simmons from ball-handling duties then these guys might stick around past the first couple months. Georgetown. When you think about this year’s team in D.C. don’t just think about senior guard D’Vauntes Smith-Rivera. Sure, the accomplished team leader can score when he wants and has rounded into a very good overall player. But there’s depth and versatility on this roster that few teams in the nation can match. In fact, they may have the most quality wings on any team period. If Tre Campbell can get some help at point guard then things should be fine. JT III does like to play a shorter rotation, but there are options available. LJ Peak is a 2-guard with skills to play out to the 3 and the ability to help handle the rock. And fellow sophomores Isaac Copeland and Paul White look like two more very impressive wings to come through the Georgetown system in a long line of guys with range and athleticism. The Hoyas just need some consistency from these guys and winning the Big East is a distinct possibility. Replacing last year’s big guys is going to be very imperative while trying to mix together the talent in the nation’s capital. Freshmen Marcus Derrickson and former Florida commit Jesse Govans will have to contribute early to offset those losses. Don’t be surprised to see a very highly contested game against Maryland early on in the season. Purdue. When Caleb Swanigan was deemed eligible a few weeks ago, West Lafayette was no doubt jumping for joy. They had a solid core returning from a surprisingly effective year, but the Top 10 recruit put the icing on the cake. After changing his mind on a commitment to Michigan State, Swanigan decided to stay in-state. The versatile big man with likely play the 4 for the Boilermakers, but two pro-level 7-footers in A.J. Hammons and Isaac Haas are going to make it possible that we see him playing at the 3 some. But he’s not quite ready for full-time on the wing, if ever. Still, there’s other talent in the form of Raphael Davis who won the Big Ten Defensive Player of the Year last season, Vince Edwards on the wing, and combo guard Kendall Stephens. While Purdue and Matt Painter will match up well against the biggest teams in the country, it will be interesting to see how they attack guard-oriented programs. A top 3 conference finish and a place in the Top 25 are well within reach. Texas A & M. This could be the first year that A & M makes it back to relevancy in college basketball since Mark Turgeon left for Maryland. With a deep and experienced roster that also has a highly-rated recruiting class, the Aggies are poised for a breakout year. Alex Caruso will run the show while Alex Robinson has the talent to do it just as well. Admon Gilder may wait his turn but has the goods to make an impact. Danuel House is an athletic shooter who will lead this team in scoring and be their emotional leader as well as the starting 2/3. Jalen Jones is similar in size to House and can do a lot of the same things, but will do so to a slightly lesser extent. DJ Hogg might have to wait his turn, but as a former Top 100 guy he may not be able to wait till next year. Freshmen big men Elijah Thomas and Tyler Davis will be needed early to provided rebounding and defense. Everything else will be gravy. This is yet another SEC team will a good chance to rain on the parade of Kentucky is a league with actual parity for the first time in years. Utah. Without Austrian big guy Jakob Poeltl the Utes might not be a Top 50 team. Coach Larry Krystkowiak is a formidable recruiter and good with the x’s and o’s, but the 7’1 center with professional offensive and defensive ability has talent that can’t be taught. And now the Delon Wright is gone he will be forced to do even more. Look for guards Brandon Taylor and Dakarai Tucker to man the back court spots and Jordan Loveridge, Kyle Kuzma, and Brekott Chapman to help up front. In a Pac-12 with few dominant players, Utah will have at least one more year of success. Florida State will need Xavier Rathan-Mayes to distribute and make plays for a team with a tantalizing mix of talent. Florida State. The senior class provides two of the three 7-footers on the team (Michael Ojo 7’1, Boris Bojanovsky 7’2) along with freshmen Jean-Marc Koumadje (7’4) and the freshmen class is more notable for the three combo guards all between 6’5 and 6’7 (Dwayne Bacon, Malik Beasley, and Terrance Mann). Bacon is the best of the bunch but all three have loads of potential to contribute right away. But wheres does that leave Xavier Rathan-Mayes, who is most famous thus far for his amazing 30 points in the final 4 minutes of a game last year? Well, he might have to play some point to make things work. But the talent pool doesn’t end there. Long and athletic guys like Montay Brandon, and Jarquez Smith along with the relatively diminutive Devin Bookert add several more dimensions to a team that is very intriguing. How many teams have this much size? The answer might be none. Will be a very fun team to watch. Oregon State. The head coach’s son (Tres Tinkle) and assistant coach’s son (Stephen Thompson Jr.) are highly-ranked players who will likely make a play to start early on along with a couple other newbies with talent to help out. But the entire starting five is returning from a team that overachieved last year at 17-14. Gary Payton Jr. was one of the main reasons for the turnaround. And as the conference defensive player of the year, The Glove Jr. will look to become a more complete player with the help from a tall roster. While a couple early injuries might change the rotation, this team will be legit earlier than anyone expected. Teams that should be good based on talent but who knows. UNLV, Florida, Miami, Pittsburgh, NC State, SMU (only because who cares? ), Wisconsin (all two players of them), Davidson, Dayton, Ohio State, Texas, Baylor, whoever wins the Ivy League, San Diego State, Boise State, Georgia, BYU.